Since being established under the name RCS (ReAgent Chemical Services) in 1977, the road to where ReAgent is now hasn’t all been smooth. 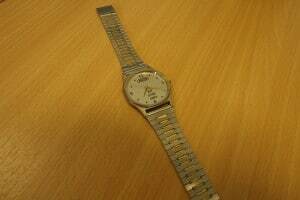 You can read about the birth of ReAgent and the trials and triumphs of setting up a new business in the 70’s. Despite some money and health-related setbacks, RCS’s founders, Derek and Norma Millard remained dedicated to the business. It has since been run by a further two generations of the family and goes from strength to strength. This rundown of milestones throughout the history of ReAgent may give some hope to small businesses out there in the early stages of development. 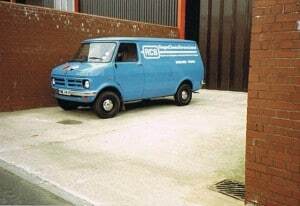 Following the struggle of working from home and then finding a factory to move into, RCS began trading in 1979. 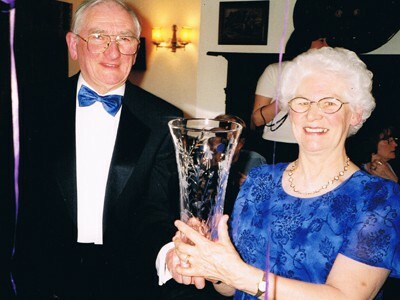 As the company was just growing its roots, the lack of employees meant that the admin department consisted of RCS’s founders; Derek as Managing Director and Norma as Company Secretary. In October 1979, Steve Hudson got on board. Steve is the husband of Derek and Norma’s daughter, Barbara, and he joined the company after being in the Air Force. Steve relieved Derek of some of his work and took over as van driver in charge of deliveries. During the early years, RCS gradually expanded its customer base and work force. RCS supplied a lot of sample packing to ICI. As there was so much work to do, RCS employed a team of ladies to do the packing and hired a new driver so that Steve was able to work full-time in the factory. Things were looking positive. RCS acquired a customer that bought one product from us initially, but went on to become a significant part of the business. 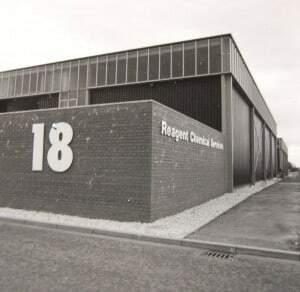 RCS became so busy that we outgrew our factory unit (Unit 18) and were forced to rent a new factory as an addition (Unit 17). That’s when things began to go wrong; the orders from this customer stopped as they no longer required the product. 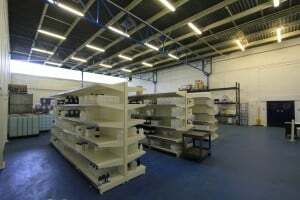 This was a massive blow to RCS as we had just taken on a new lease for the factory, and rent was around £13,000 per year. That was a great deal of money back then! As tight as money was, the team managed to struggle on and grow by supplying other customers and creating different products. In 1982, Steve and Barbara gave birth to a son, Rich Hudson. Steve Hudson took on the important role of Director of the company. Barbara Hudson joined RCS, working as a bookkeeper. 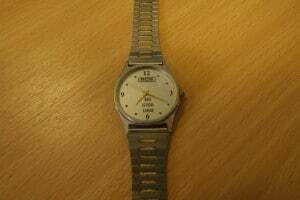 Barbara went on to be in charge of HR and introduced the company pension scheme, which is still ongoing to this day. Before RCS was able to expand its body of employees, each staff member had multiple roles assigned to them. This was a busy period for everyone, but was necessary as the limited financial resource available was to be spent on equipment. There wasn’t enough money to hire further staff just yet. Steve Hudson was running the lab and factory, but in 1989, his health deteriorated and he became office-based. 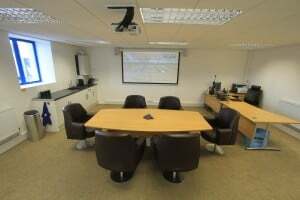 Steve and Barbara took over as Managing Director and Company Secretary respectively, and at the same time, Derek and Norma stepped down as Managing Directors and became Consultants to the company. This year also saw Darren Wilson join the company, whom is still with us now as Sales Director. Another major change to sales occurred in 1989. 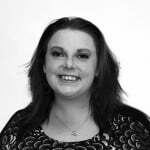 RCS took on a Sales Rep – Tina Bradley. Barbara used to deal with sales on top of her other roles, but now RCS had a full-time employee whose job was solely assigned to sales and generating leads. This meant that Tina could go out visiting companies, and other staff members were freed up to focus on their main duties. An ongoing thought throughout the 80’s was that we should be buying a computer, as other companies seemed to have one. When RCS purchased a computer, everyone looked at it but nobody knew what to do with it – they had never used a computer before. One of the ladies in packing took a leap of faith and tried the computer, and eventually everyone got used to it and continued to purchase more. You could say this is how our IT department today was born! Sometime during the 80’s RCS got wind of the possibility that Colgate needed a product for their toothpaste. Steve Hudson went to visit the buyer and walked away with a deal from Colgate’s then-supplier. We ended up selling 5000 litres a week of Sodium Hydroxide to this major company. A devastating blow came when Colgate relocated from Manchester to France and we lost them as a customer, but thanks to a built-up customer base, we survived and moved on. When RCS purchased a computer, everyone looked at it but nobody knew what to do with it. The Mayor of Halton presented us with BS 5750 and we were accredited by SGS Yarsley as only the 5th company to receive the Standard. The female packers at RCS all pulled together and prepared a buffet for the mayor. This year saw a big leap, where RCS transitioned from renting to buying. 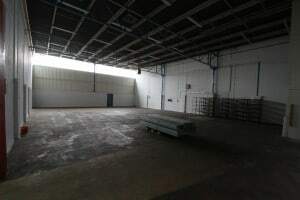 We used to rent two factories but decided to buy them instead. This was a massive commitment but it provided a lot of security; we now owned the factories instead of being tenants there. Because RCS was growing so rapidly, two factories still didn’t provide enough room for manufacturing, so a mezzanine was later built. During 1997, Rich Hudson did some work experience at RCS at the age of 14. Being of such a young age in a chemical environment, he was restricted in regards to the work he could get involved in. Rich did some admin, banking and went to see customers. From then, he worked in RCS during all of his school holidays. We registered the domain name ReAgent.co.uk. 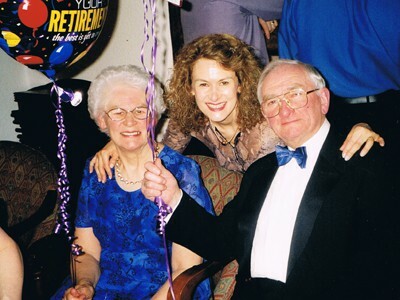 2000 saw Derek and Norma’s retirement. There was a leaving do at Old Hall in Frodshom, which was attended by some current members of staff who were part of the company back then. During university, Rich did a sandwich course which allowed him to complete a year at RCS. He was now over the age of 18 so had the chance to get involved in different departments. This gave him a good handle on the company overall. Rich noticed a number of areas the business could improve and created a vision for where the company could be in the future. He held a Business Studies and Marketing Degree so went on to leave an impression on the business and become a major asset. During his year in industry, Rich instigated a ‘Strategic Review’ and helped implement new ways of working, including a Business Plan, regular Staff Meetings and our first website. 2005 saw the big re-brand. This included a name change from RCS to ReAgent and a new logo. Rich joined ReAgent on a full-time, permanent basis and Barbara implemented an Appraisal System which is still used today (albeit under a different title; One-to-One Meetings). For two years, Barbara had been working towards getting an ‘Investors in People’ accreditation. It took some time to comply with systems and other requirements but we were awarded this in 2006. We replaced our old, paper catalogues which we had sent out for over 20 years with a digital version on CD Rom. Our website was also developed to include a list of our entire off-the-shelf offering – sadly it was another couple more years before e-commerce was added! 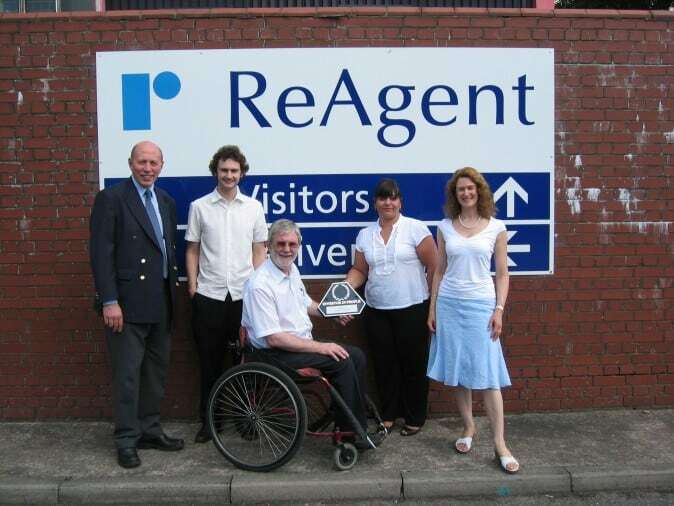 We broke down barriers (quite literally) at ReAgent in 2007 when we created a large, open-plan office which all office-based staff used to work from. 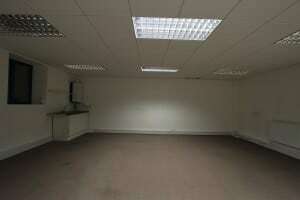 This was a big improvement – before then there wasn’t any natural light. 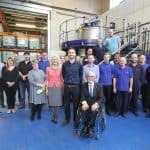 In 2007 we started working more closely with the Manufacturing Advisory Service, which gave us a completely different way of looking at our operation and led to a number of significant improvements, such as the reduction of inventory and much quicker lead times. This was spearheaded by Darren Wilson. We also achieved BS8555 – the Environmental Standard that existed before the ISO Standards. This was the precursor to ISO 14001 Environmental Standard, which Graham Bayliss, our Systems Manager, applied for and worked towards. E-commerce functionality was added to the website in 2008. This was a big step forward in terms of efficiency. This e-commerce chemical store would eventually go on to become chemicals.co.uk. Standards and accreditations were becoming the norm, and customers expected us to hold relevant Standards. In 2010, we received the ISO14001 Environmental Standard. This involved a lot of work, as it was something that staff in ReAgent were working towards on top of their own jobs. This was also the year that Rich became Managing Director. Rich provided a younger outlook on the company and introduced brand new resources to ReAgent. Rich could see the potential in investing heavily in technology. The chemical industry is quite a traditional one which can be slow to pick up technical changes, but we had an advantage because we adopted things like the internet relatively early. Steve and Barbara trusted Rich when he saw the potential benefits. 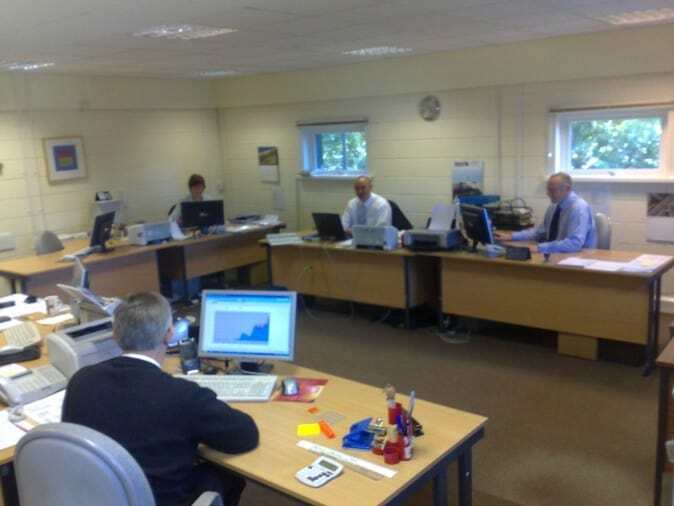 In January 2011 we expanded our premises by half as much again when we moved into another Unit; Unit 16 was created. 2012 was a busy year at ReAgent. We purchased the domain chemicals.co.uk which led to a huge shift in our online presence; we were now able to separate the services we offer in a much clearer way. We could sell chemicals off-the-shelf on chemicals.co.uk and keep the ReAgent website for our bespoke chemical services. In this year, we also attracted our one millionth recorded website visitor. We decided to set up a new website, The Chemical Blog, which is a collection of fun articles containing chemistry information, facts and inforgraphics. It was a way to present chemistry in a non-text-heavy format and is now written by Alex Reis, a freelance science writer. We were proud to become a corporate sponsor of the Science Museum Group. At ReAgent, we’re so passionate about supporting science and science education, so this was a great way to contribute to the scientific community and encourage more people to get involved. As a corporate sponsor, we get invited to VIP launches and other events at the museum, so it’s beneficial to all. In the past couple of years, it has become clear that video is taking over the web with some force! To keep up with this, we created a YouTube channel in 2013 and uploaded our videos on Sachet Filling and Ampoule Filling. It’s useful to have a medium that allows us to show our customers the technology we have at ReAgent and what is is capable of, in an interesting and creative way. 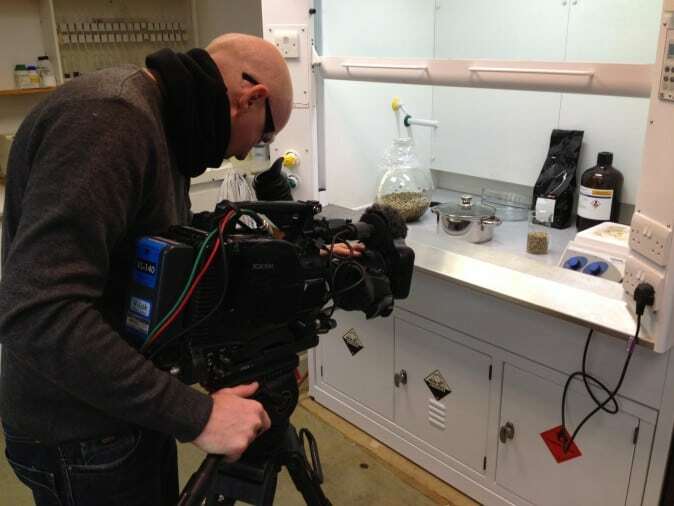 A huge and exciting milestone in 2013 included a visit from Channel 4! 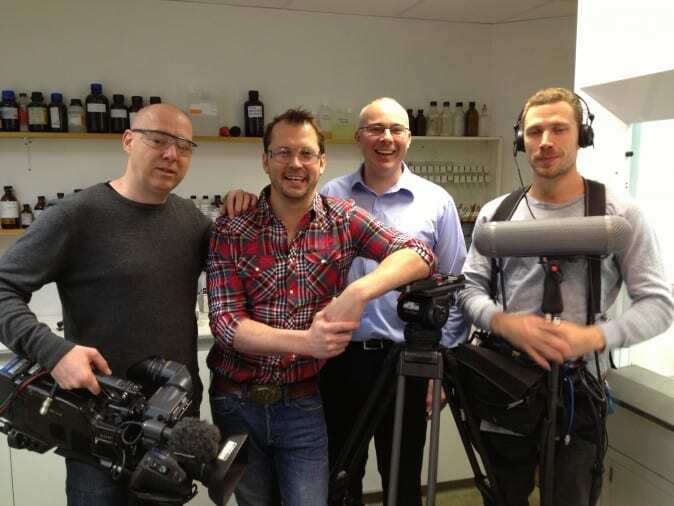 We assisted with their documentary, Food Unwrapped, which explores how food is manufactured. For this episode, Food Unwrapped wanted to show how methylene chloride is used in the process of decaffeinating coffee beans. ReAgent was able to set up an experiment in our lab to explain the process and reactions involved for the Channel 4 team. Both Darren Wilson, who assisted, and Jimmy Doherty, Channel 4’s presenter, were able to taste the caffeine residue afterwards. 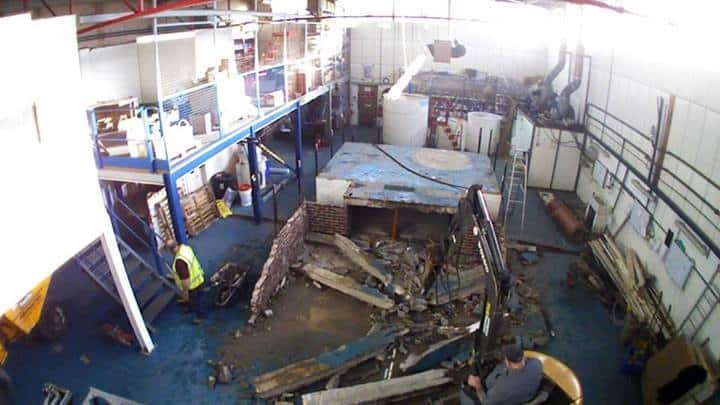 We also started a major investment – which is by far the biggest yet – by renovating our main production unit and demolishing the platform in there. We’re now a totally different organisation to what we once were, but our core values are still there. We have a web and marketing department which enhances and shows the relevance of our digital era, although we still use traditional ways of marketing such as conferences and brochures. We’re small enough to have a real awareness of individual staff’s circumstances and can get to know customers so we can offer a personal service and greater flexibility. Our plans for the future are ambitious and bright, but building on our success so far, they’re definitely achievable. 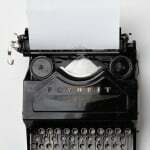 For some more information about what the next few years hold for ReAgent, you can read our business plan.